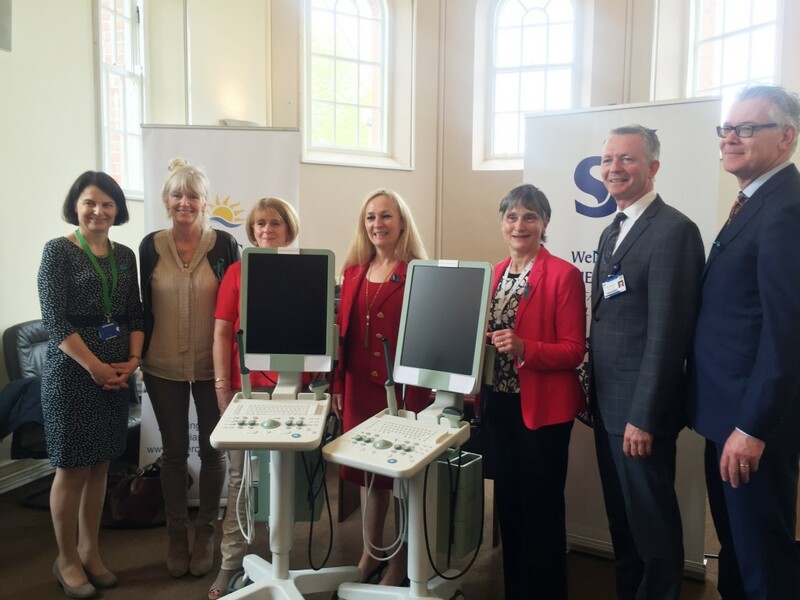 The Emer Casey Foundation and St. James’s Hospital today marked Ovarian World Cancer Day which took place on May 8th, by celebrating the Foundation’s donation of two mobile ultrasound scanners to the Hospital’s outpatient gynaecology department. 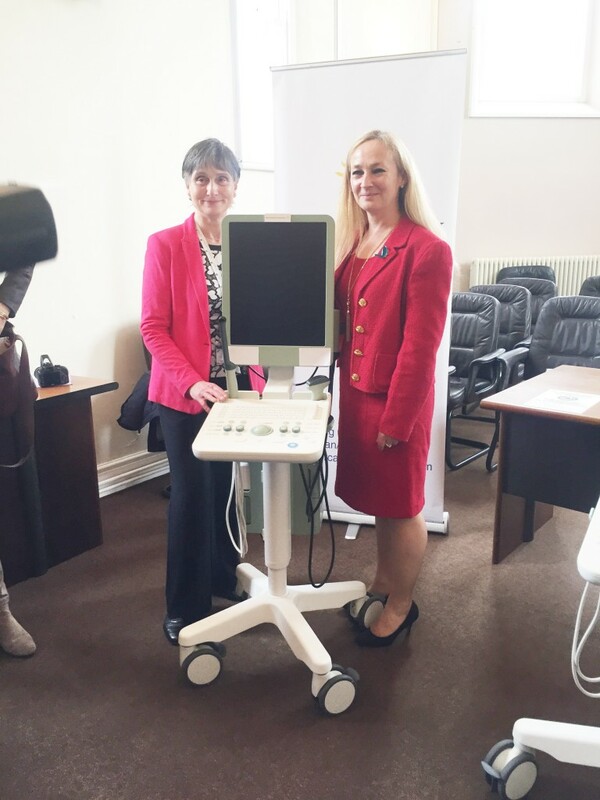 The scanners will assist in the early detection of ovarian/uterine cancer in women. The Emer Casey Foundation was established in 2006 by the Casey family, following the death of their much loved daughter and sister, Emer, from ovarian cancer at the age of just 28 years. The two scanners donated by the Foundation have greatly enhanced patient flow in the Gynaecological Cancer Care Department. Ultrasound scan at pelvic examination in women with abnormal bleeding allows for a single pass through the clinic for those found to have no abnormality. Early diagnosis of uterine cancer by endometrial sampling, like D&C is then progressed for women with thickening of the lining of womb. Ovarian cancer is the most fatal of the gynaecological cancers. Clinical effort is concentrated in trying to diagnose the cancer at an earlier stage. Symptoms are not specific. The celebration also acknowledged the important launch of new guidelines by the National Cancer Control Programme, that aim to increase doctors’ awareness of ovarian cancer and to encourage the earliest referral for ultrasound scans at the radiology departments of the general hospitals throughout the country. Triona Phelan a long term survivor of advanced ovarian cancer herself summarised her personal experience of the disease. She emphasised the importance of attention to general health, diet, exercise, meditation /visualisation to enhance recovery. GynaeCancerCare at St. James’s hospital saw 346 women with new gynaecological cancers in 2015. There were 112 endometrial cancers and 110 ovarian cancers. Women with endometrial cancer typically present with vaginal bleeding after menopause (PMB). This cancer of the lining of the womb is becoming more common because of lifestyle changes and in particular due to the rise in obesity. Less than one in 10 women with PMB have any abnormality and ultrasound scanning at pelvic examination is the key first line investigation for women with abnormal bleeding. Ovarian cancer is the most fatal of the gynaecological cancers. Most women present with advanced stage disease and 70% die within 5 years. Ireland has one of the highest mortalities in Europe from ovarian cancer. According to the latest report from the National Cancer Registry, an average of 360 new cases present in Ireland each year and there are 276 deaths from the disease.